In what appears to be a random attack the pair were stabbed a total of seven times before Pádraig managed to escape and run to his Atlantic Avenue home to raise the alarm.Speaking to the North Belfast News this week Pádraig’s father Kevin Murphy, a well known community worker in the area, said they could have been killed. Kevin said the attack didn’t appear to be sectarian and while a PSNI spokesperson said all lines of enquiry are being investigated he added that there is nothing to suggest a motive at this stage. 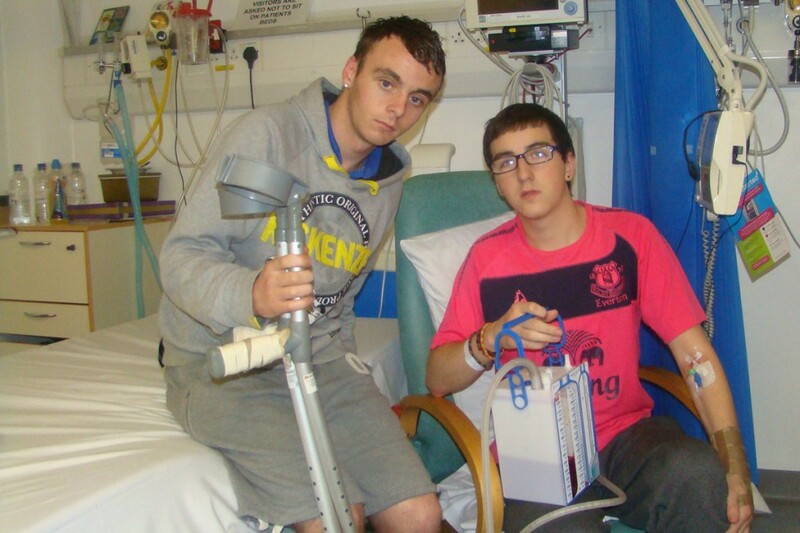 “It just seems to have been a random attack on two lads walking home,” he said. Feidhlim’s Mum Siobhán Burns said her son didn’t leave the house for a year after the 2006 attack and she fears the same could happen again. She said the culprits intended to stab someone that night and her son and his friend happened to be in the wrong place at the wrong time. “You don’t run around with knives in your pockets if you are not going to use them,” she insisted. Newington Sinn Féin Councillor Conor Maskey said the attack could have been fatal. “I know one of the victims and his family particularly well and it is extremely hard to imagine the worry and turmoil they’ve had to endure since the attack after an incident of this nature,” he said.